This collection of highly creative and incredibly moving visual stories from 25 contemporary photographers has been thoughtfully curated by Alice Yoo and Eugene Kim, founders of the leading art and culture blog My Modern Met. 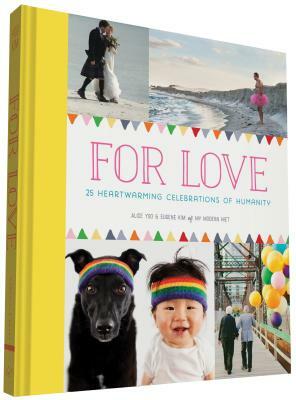 These photo essays capture magnificent displays of ordinary people—parents and children, husbands and wives, grandparents, friends, siblings, and pet owners—doing extraordinary things for love. From Batkid's mission to save San Francisco, to the husband who wore a pink tutu all over the country to bring his sick wife joy, to a collection of portraits of people "happy at 100," these heartwarming photographs will inspire boundless faith in humanity. Alice Yoo and Eugene Kim are the founders of My Modern Met, an art and culture blog featuring photography, design, and architecture. They both live in Los Angeles.